The Islamic State has stolen away all the headlines from Ukraine, which is a concern for Petro Poroshenko and his crew because finances are worse than bad, in one word: hopeless. 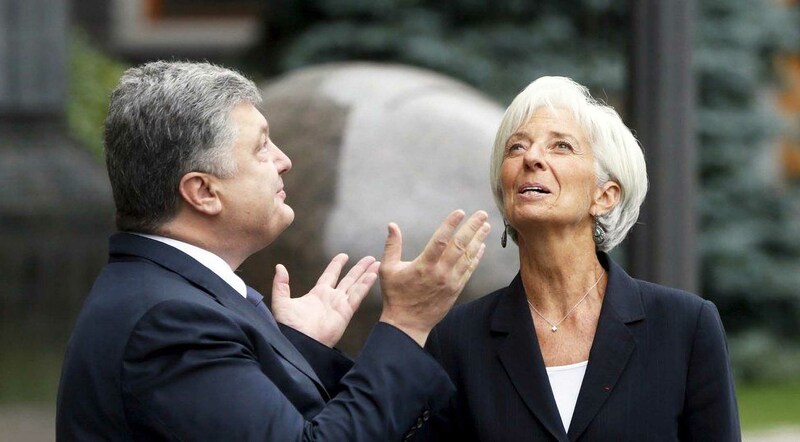 Fitch Ratings lowered Kiev’s credit rating from triple C to D, the default rating. The Ukraine introduced a temporary moratorium on debt on November 6 and failed to pay 250 million US$ in eurobonds. Another payment of 300 million US$ will also be missed. Already on September 23 a 500 million US$ payment was not made. 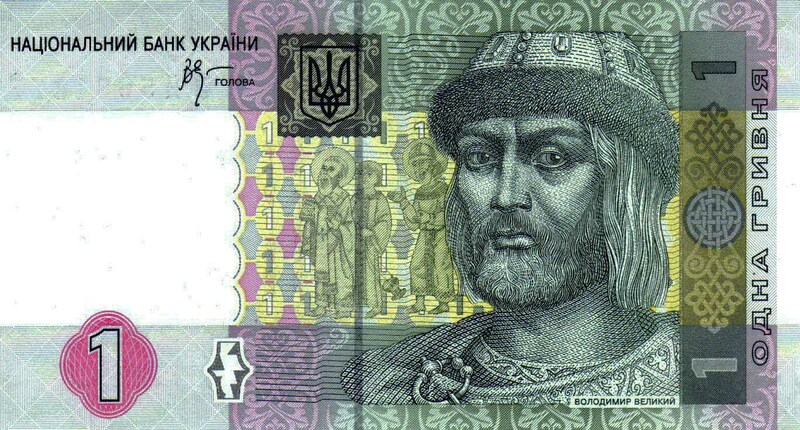 Ukraine’s currency, the hryvnia, is depreciating again and while the official course is 24 hryvnia for one Dollar, no bank will ask less than 26 hryvnia. September was the 21st month of economic decline, as GDP was 5.1 percent down again. 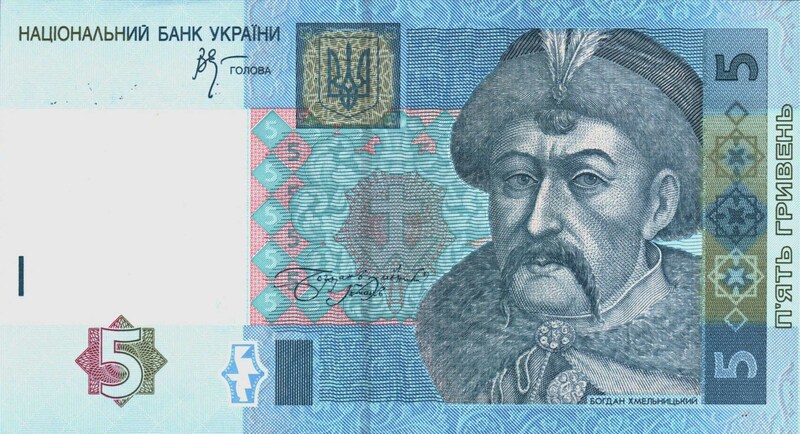 While the Ukrainian population struggles in a collapsing economy with no recovery in sight and has become disobedient and rebellious in addition to being disillusioned since a long time, the EU has gotten annoyed with the constant demand for paying Ukrainian bills with no sign of economic improvement or meaningful moves against endemic corruption. When Poroshenko’s party PPB lost its majority coalition after key coalition partners, the RP and SHP, defected three months ago, corruption scandals began to engulf Poroshenko’s administration and the PPB party elite. On October 16th a Rada committee agreed to open an investigation into corruption charges, including money laundering, against PPB deputy chairman and Poroshenko business partner Igor Kononenko. Poroshenko’s name appears along with Kononenko’s on at least one of the incriminating documents (www.pravda.com.ua/rus/articles/2015/10/16/7085044/). Since becoming president, Poroshenko has increased his fortunes considerably and rose in Ukraine’s oligarch ranking from 9th to 6th place. He didn’t fulfill his promise to sell main assets like TV Channel 5 or Roshen, but nobody expected that anyway. Earlier, Austrian authorities initiated an investigation into alleged illegal activity by the head of Poroshenko’s presidential administration Boris Lozhkin. There is no further information about the transaction of 1.8 billion US$ abroad by Ihor Kolomoysky’s and Victor Pinchuk’s PrivatBank with the help of fake contracts. The money is rumored to be in Cyprus bank accounts controlled by Kolomoysky. This is a horrendous sum but Ukrainian authorities nevertheless have simply swept the issue under the rug. The EU refused a request for more funding for the anti-corruption prosecutor’s office, because of “concerns raised with regard to some people who participate in the selection” of prosecutors for the office. This is a clear reference to the team of Prosecutor General Viktor Shokin, a Poroshenko appointee and long-time associate, who has been accused of undermining the anti-corruption efforts. There is an Anti-Corruption Bureau and an Anti-Corruption Agency. These projects were financed by the USA. When the Americans wanted to know how the Bureau is doing, the official response was that the Anti-Corruption Bureau will not begin operations until 2017. As Ukrainian leaders are desperately looking for ways to keep EU and IMF money flowing, the question arises, what in the world they could do to impress Western donors. Starting the war in Donbass again and declaring it an act of Russian aggression? The UAF has stepped up demonstrative operations near the border of Crimea to “rehearse defending the border against a Russian invasion.” There are also reports of sizable Ukrainian troop movements near the border with Novorossia, which raises the possibility that earlier troop withdrawals were simply part of a major regrouping of Ukrainian forces, possibly in preparation for a renewed offensive. There are still 2,000 fighters of the Azov, Dnipro, and Lviv volunteer battalions deployed near the disengagement line. War hysteria is being kept up by government officials like Oleksandr Turchinov, who announced that Ukraine’s top 2016 priority will be its air defenses, due to the demonstrated Russian air capabilities over Syria. Ukraine has received two US Firefinder counter-battery radars, which were installed in Lviv, and US instructors are training Ukrainian soldiers in their operation. The USA has also allegedly sent products of US arms manufacturer Barrett Firearms, declared as “auto parts,” via the Bulgarian company Bulcomers KS Ltd.
Another offensive against the pro-Russian rebels in Donbass would for sure garner Western sympathies, yet, starting war again would be risky, because the army’s morale remains at rock bottom, with most of their casualties coming from non-combat incidents which are usually alcohol or drug-related, like the recent deaths of four mechanized brigade soldiers who had just returned from a training exercise and were killed in a drunken shoot-out. If war is not an option, what else could be done to provoke and hurt Russia, thereby opening Western wallets? The Ukraine has further cut economic ties with the Russian Federation, which bleeds the Ukraine far more than Russia because it cannot compete in Western markets and has neither money nor expertise to build new or modernize old production lines. The result of this policy is an increasing economic isolation and deindustrialization. Would additional measures against Crimea be a possibility to annoy Russia and keep Western money flowing? The USA and EU have put Crimea already under one of the toughest embargoes in the world. Almost all trade, transport links, and banking transactions have been blocked. The sanctions regime is in fact much harsher than the one on Russia and comparable to the embargo imposed on Cuba, Iran, or Sudan. Rail and bus communications with mainland Ukraine have been cut off. The main source of water for the peninsula, the Northern Crimean Canal, is closed, depriving farmers of irrigation for their fields. 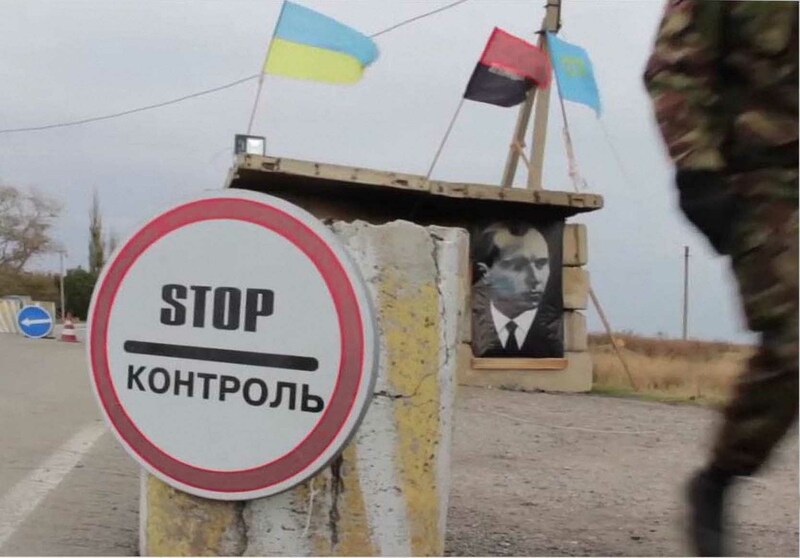 Since September 21 activists from Pravy Sektor and Crimean Tatars loyal to Kiev are blocking the Ukraine-Crimea road and try to prevent the passing of all cargo transport. Electricity is transferred to Crimea via four transmission lines in Kherson oblast. Power supplies until now worked, though transmissions from Ukraine were intermittent, with widespread blackouts over the New Year holiday. 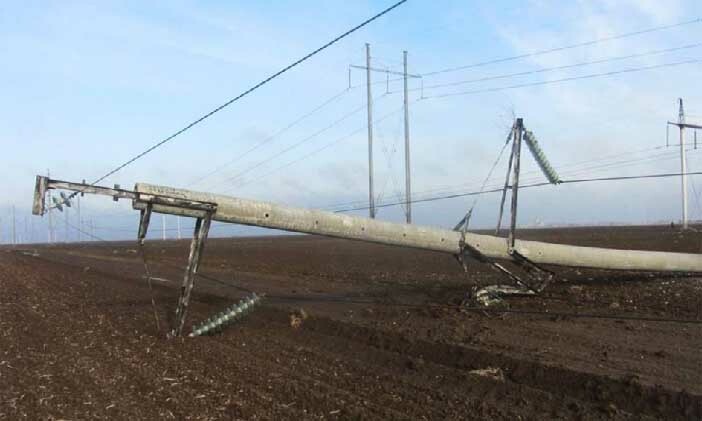 When saboteurs blew up electricity pylons and knocked out two power lines in the night of November 20, Crimean authorities warned of possible shortages, but next day the remaining two lines for Crimea were disconnected. Since November 22 no electricity reaches Crimea and 1.9 million people are left partly or fully without electricity. 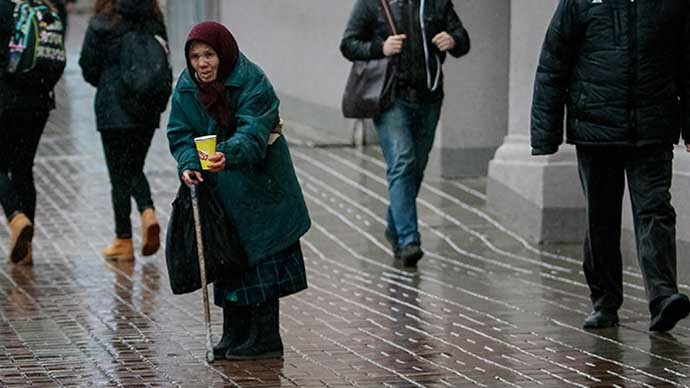 The Crimean authorities have declared an emergency regime on the peninsula and have connected social facilities to backup power generators. Additional generators are sent to every region, but they all together can produce only 350 megawatt, while 800 megawatt would be needed. The Pravy Sektor and Crimean Tartars have not claimed responsibility, but photos of a destroyed electricity pylon with a Crimean-Tatar flag hanging on it have been posted online. Russia has ceased coal shipments to Ukraine in response to the breakdown of the electricity supply to Crimea. This was stated by Verkhovna Rada deputy Mustafa Dzemilev after a meeting with President Poroshenko. It remains to be seen who will suffer most.